Pink and Apple Green, with a smudge, splash or a pop of dark green. Such luscious, girly-girl colors for this week at Summer of Color. Pinks and greens together, always make me think of flowers, so it’s no surprise that flowers are included in what I did this week. 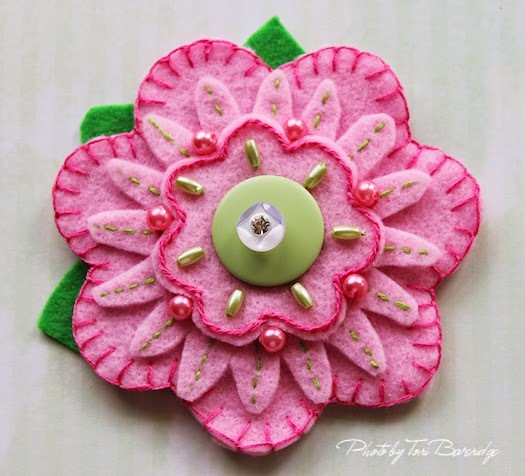 The first thing I did was search out some scraps of pink and green felt, a couple of buttons, beads, and pink, and green embroidery floss which I used to make this sweet pink flower. Isn’t it cute?! I’ve attached a clip to the back and it’s destined to make it’s way to our little niece, Isabella, to attach to her headbands and hats, or use as decor. I got the idea for these flowers from Bronwyn Hayes of Red Brolly. Last year, I won a copy ( I actually won something!) of the May 2013 issue of Homespun Magazine, from Bronwyn. In that issue was Bronwyn’s tutorial and templates for her felt flowers. Instant love! She also has a tutorial on Red Brolly, which you can find HERE. Next, a mixed media piece, done on 9 x 12 mixed media paper, with gesso, gel medium, inks, acrylics, various papers and Faber-Castell gel sticks. The green exploded all over the pink background. I’m pretty happy with the way it turned out, after many many layers of paint. 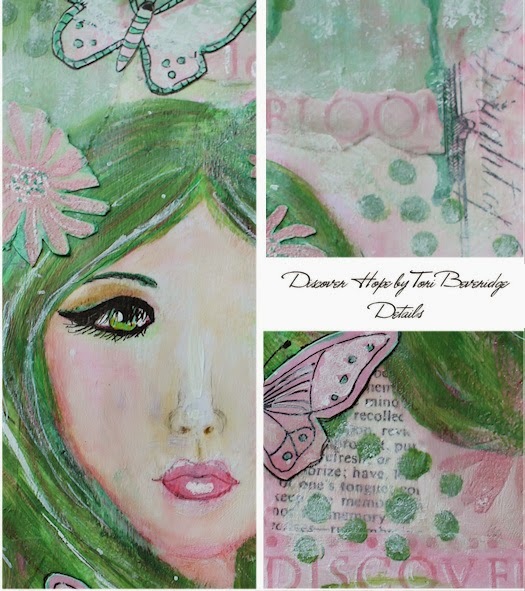 Posted in Creative Every Day, mixed media, mixed medium, motivational art, portrait, Summer of Color, Tori Beveridge and tagged embroidery, felt flower, floral, flower, girl art, inspirational, painting. Love both your expressions of the SOC colors! The flower is adorable and Discover Hope is simply lovely. Wishing you another colorful fun week. I absolutely love your little felt flower! It is perfect for this week's SOC colors. And wow! 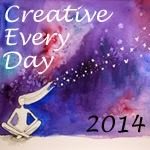 Your mixed media page is so beautiful and creative. Your girl is gorgeous!!!! Both are very nice. But your painting of the girl is really amazing. She's beautiful! 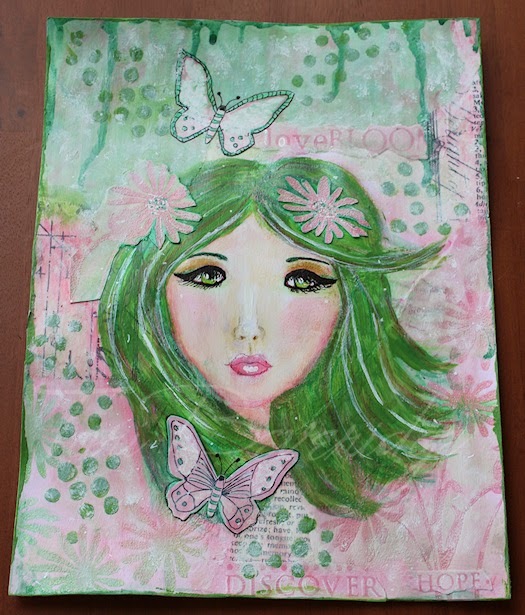 Love your use of colors and her beautiful expression on the mixed media piece!